Madrid International Active School provides a space for children to play, interact and learn. See our Mission statement. The school focuses on the integral development of the intellectual, spiritual, physical, practical, social, creative and emotional aptitudes of each individual child. The school is based on respect towards the children, their fundamental needs and natural life cycles; the environment is carefully prepared to cater for the development of free play, autonomy and non-directed learning based on the child’s sensory motor development in preschool and their operational requirements in primary. 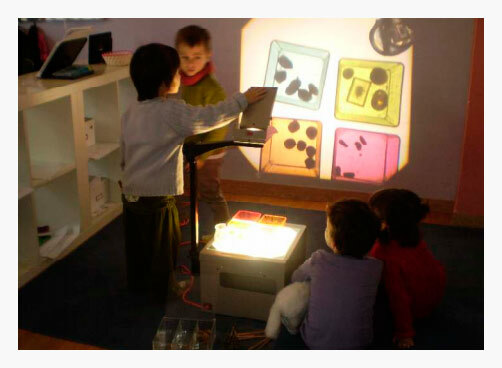 The school encourages children to discover the world around them, live harmoniously together and make their own decisions (what to do, who to be with) by meeting their authentic developmental needs through play, sensorial exploration, relationships with others, experimentation and cooperation. The school welcomes diversity by respecting cultural differences, encouraging collaboration and respect between older and younger children with mixed age groups and by paying attention to each child’s own individual rhythm and personality. The school believes in responsible freedom. Children learn they are free but within some basic limits of respect towards others and the environment. Adults help the child with the integration of these codes of conduct and give any emotional support necessary in the process. The school embraces peace and is dedicated to paving the way for a harmonious coexistence, active listening, non-violent communication and value-based education. It endeavours to find solutions to conflicts and to learn about democracy and citizenship through democratic meetings. The school sets goals and self-evaluation criteria, in line with the best international quality standards. The school is multilingual and believes that languages are instrumental in communication and in enhancing cultural diversity. High priority is given to understanding and oral expression through linguistic immersion. The school is based on respect and trust nurturing the relationship teacher/student, director/teacher, and also the managing and teaching team/family. It is a participative school where managers and teachers are seriously committed to the project, parents are highly involved and children participate in their own learning. The school encourages the development of a critical mind, free and independent thinking and self questioning, autonomy, self confidence, social harmony, respect for the environment. It inspires new ways of thinking in society and transforms the desire to play into the desire to work to change the world. Copyright © Madrid Active School 2014-2018.